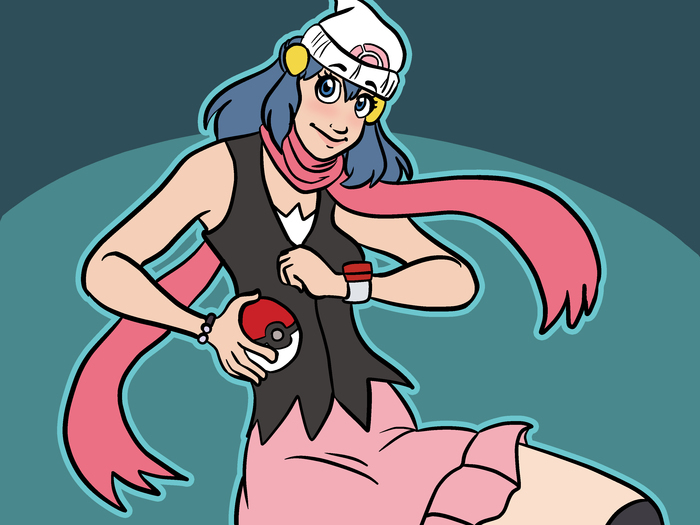 This shows you how to dress up as the character, Dawn from the Anime, Pokemon. Buy a black tank top. Look in department stores for cheap ones, or a thrift store. Get a piece of white fabric and cut or rip it to form points. Sew it or use some fabric glue (fabric glue takes a while to dry) into the points that Dawn has on her fabric. 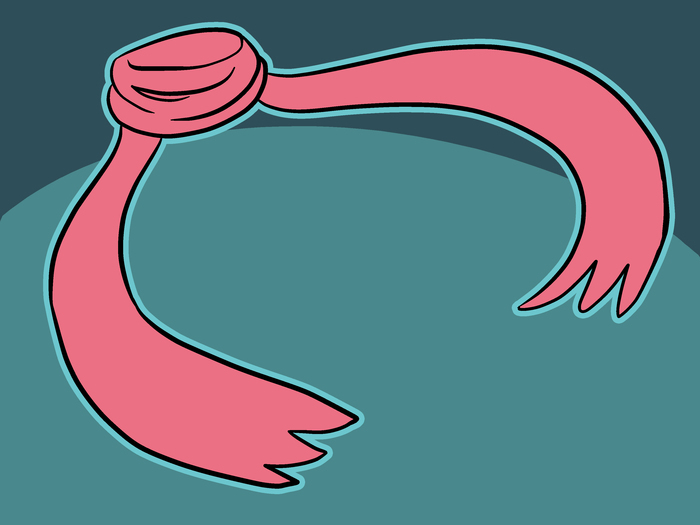 Buy a red scarf. Once again, you might be able to find scarves at a department store, but if you can't find them buy some red fabric and use that as a scarf. Buy a pair of black knee-high socks, or as long as the socks reach over the boots. For the boots, you'll probably have to really search a lot or improvise. 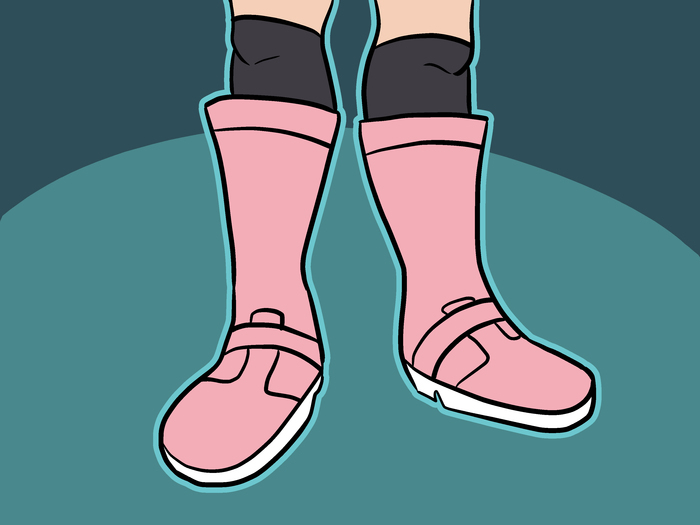 If you want the boots to be a bright pink, rain boots are the way to go! They're pretty, shiny, and waterproof!or, remember the materiel that was left over from the skirt? Use that to cover some light coloured boots! This gets a better effect because now the skirt and the boots match! 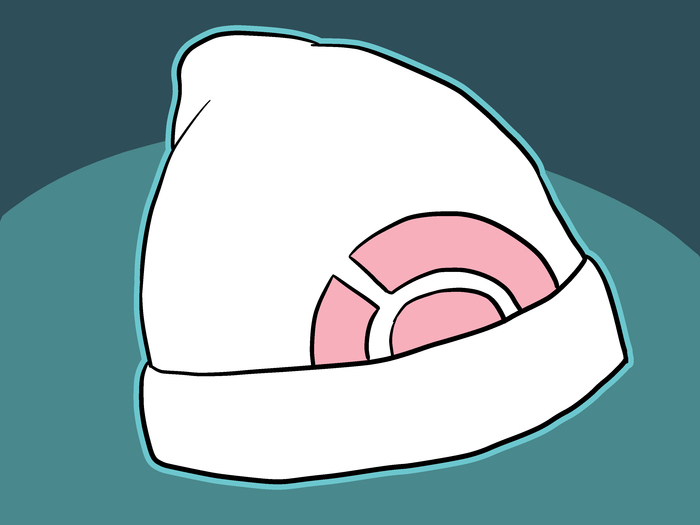 Dawn's hat is a white baggie with a pink pokemon symbol on the front. You should be able to find a baggie at a thrift store or something and you can dye or paint a pink pokemon symbol on it. Wear hair accessories. 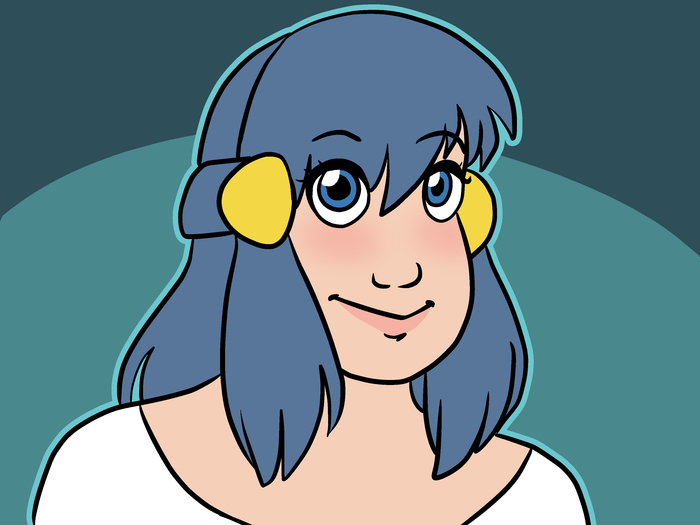 The yellow things in Dawn's hair are barrettes, so these are probably pretty easy to find. If you want your hair like Dawn's go to YouTube and search, "How to do Dawn's hair" and you should come up with a tutorial. It is also possible to get temporary hair dye in non-natural colours so you could use that! Get the Poketch. It might be possible to purchase these online. If not, a red watch will do or buy a red sports watch. If you really want a good looking one you can make it out of paper like me, the editor, did! 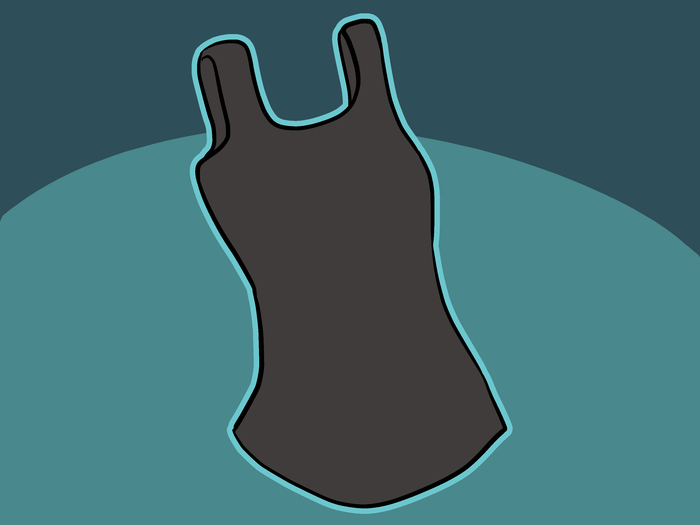 Buy a (low cut) light blue tank-top, and a black undershirt. You could find these at nearly any store. If you really want to get into it, the shade is "Colombia Blue". Buy a pink skirt. The design isn't very different from Dawn's anime appearance, except that the skirt has large pleats. The girl wears baggy, blue socks in the game. They are the same shade as her tank-top. She also wears white sneakers with one pink horizontal stripe on each shoe. 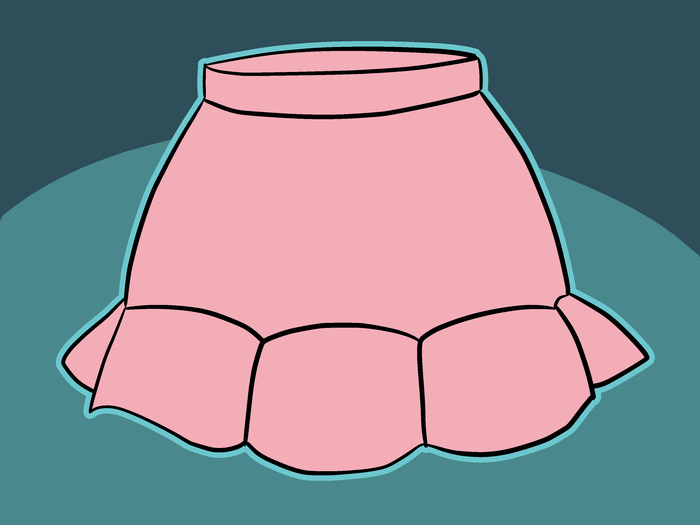 The hat that she wears appears to be most similar to a "bucket hat". It is white, with a pink half moon shape, rotated 90 degrees. You could make a hat and sew the design on, or buy a plan white bucket hat, and paint the design on yourself. Purchase a plan, yellow messenger bag. She carries this around in the game. If dressing with the alternative costume, if you have brown hair, there is no need to dye it, as the girl does not have blue, but brown, hair. If your hair is a different color, you could dye it, or buy a wig that is shoulder length. 1. Anything that you can use for a costume. 2. 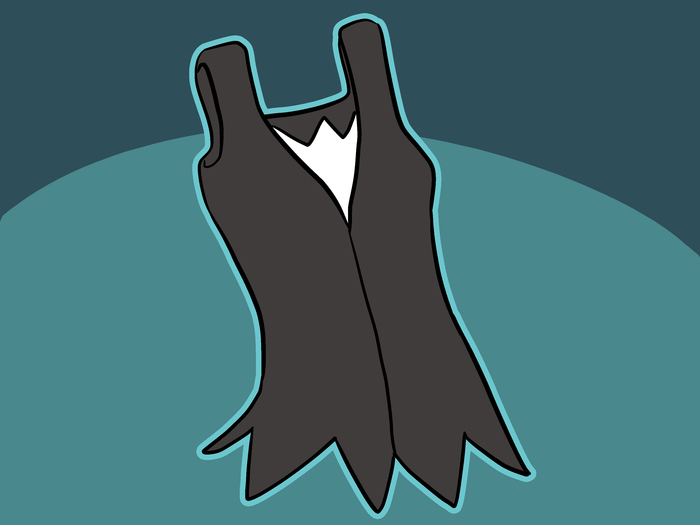 Make the fabric look like the pokemon of your choice (should probably choose something simple). 3.Put it on your pet. Alternatively buy a pokemon doll (it's slightly less cruel). If you're sewing, be careful of the needles and scissors.